Preparing for her wedding with Ryu Terui (Minehiro Kinomoto), Akiko Narumi (Hikaru Yamamoto) becomes depressed. Akiko becomes involved in a fight with Shotaro Hidari (Ren Kiriyama), Phillip (Masaki Suda). With the power of memory, Pteranodon Yummy has Akiko watch the past of Sokichi Narumi (Koji Kikkawa). The mystery of why Sokichi came to Kamen Rider Skull is revealed. The mummified remains of Oda Nobunaga (Kengo Oguchi) dressed in armor is discovered with Kousei Kougami (Takashi Ukaji) starting a revival experiment on Oda Nobunaga. Eiji Hino (Shu Watanabe) is in charge of taking care Nobunaga, but a bug in the computer software leads to the revived Oda Nobunaga being filled with desire and revenge. Oda Nobunaga then begins a conquest of Japan. Using the past memories of Kamen Riders, an evil energy-based giant appears. The evil entity identifies itself as Kamen Rider Core and demonstrates its devastating powers. 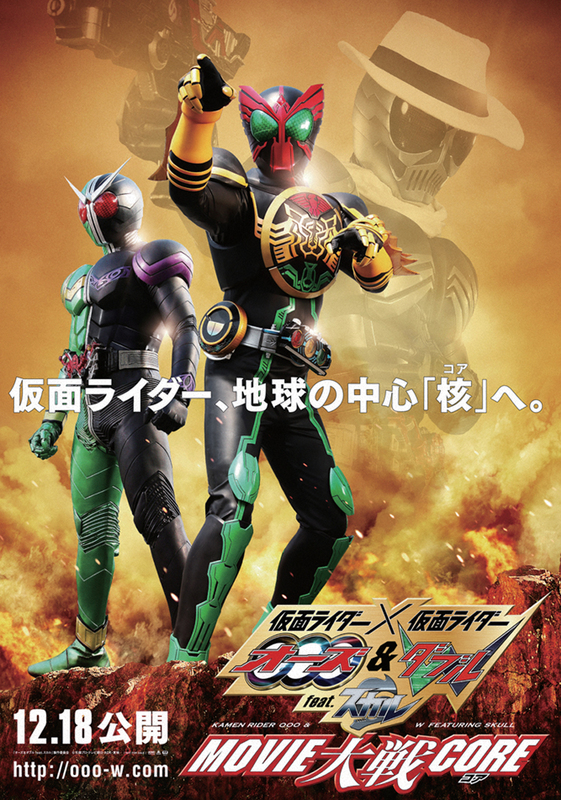 In order to stop Kamen Rider Core, Kamen Rider Double & 000 heads to the subterranean core of Earth for an epic battle against Kamen Rider Core. The fate of the world hangs in the balance.